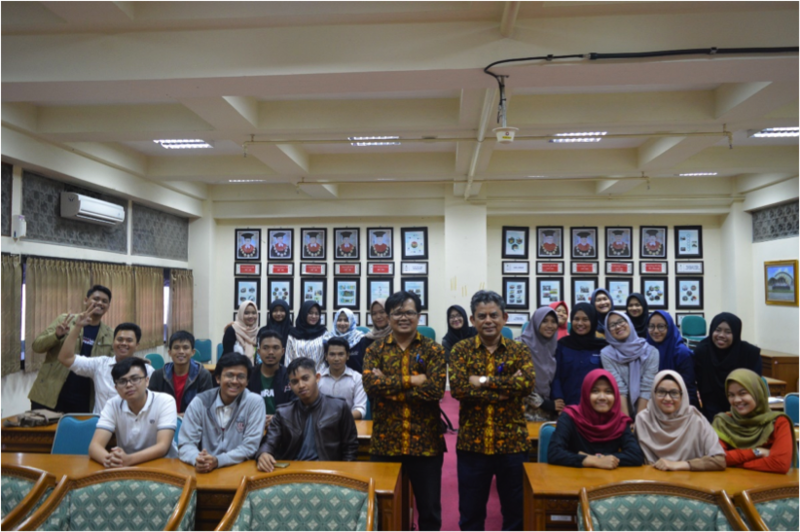 30 students of Faculty of Law of Universitas Muhammadiyah Yogyakarta (UMY), who will have a student exchange program at a foreign university, had a pre-departure ceremony on Tuesday (28/8) with Vice Dean of Faculty of Law of UMY Iwan Satriawan, S.H., MCL., Ph.D and Secretary of International Program for Law and Sharia (IPOLS) Nasrullah, S.H., S.Ag., MCL. The student exchange programs will be conducted at five universities, namely International Islamic University of Malaysia (IIUM), Universiti Sains Islam Malaysia (USIM), Universiti Kebangsaan Malaysia (UKM), National Cheng-Kung University – Taiwan (NCKU), and Asia University – Taiwan (AsiaU). The students will study at one of the universities for one semester with a full credit transfer system. In his remark, Iwan Satriawan stated that the students are representatives of UMY and Indonesia so that they have to behave in other countries. “There are three points that you have to remember, being good and guarding your private parts, time management, and being friendly,” mentioned Iwan on a release on Monday (3/9).